Honourable speakers, colleagues, ladies and gentlemen. 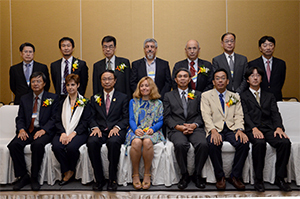 I would like to express my gratitude to the presence of all delegates, speakers and participants in The 6th Asia Oceania Regional Workshop on GNSS. It's a great pleasure to welcome you all to Thailand, especially to Phuket, the pearl of the Andaman sea. 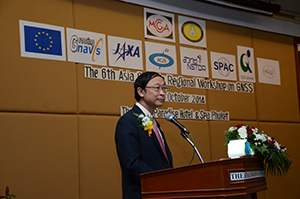 In thailand, the development of mult-GNSS application and its utuluzation are of great significance. 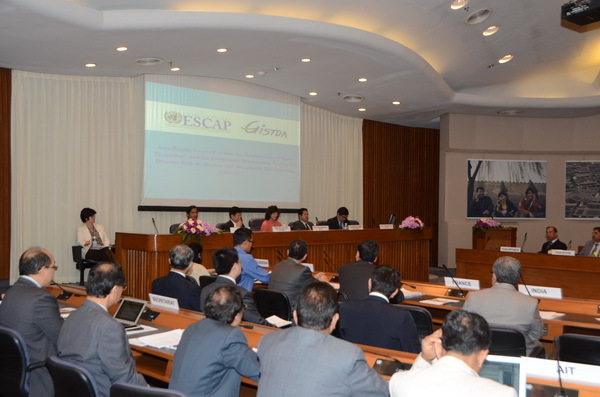 We put a great effort to establish the sharing of information, the exchange of views and perspectives among countries of 6th Asia Oceania Regional as we successfully hosted the first of this workshop in Bangkok, the captial of Thailand since the year 2010. We are very excited to witness the continuation of the effort which brings us back together here once again for The 6th Workshop. GNSS and its application has promised a great benefit to the society, economically and socially. the design and development of novel GNSS-related devices can help propel the semiconductor industry from a substantial demand for new parts and instruments to support the manufacturing of new devices. Agricultural community can benefit significantly from the shift of manual production to an automated one using precise positioning machinery. Less fuel usage by precise positioning control results in less carbon footprint, thus, provide environmental benefit as well. New curriculums are being developed in various parts of the world to fulfill the need for a new breed of knowledgable graduate which will be in a great demand to support the vast utilization of multi-GNSS technology. Social and economic from life saving during disaster is, indeed, unmeasurable. And even retail community can get the benefit of this technology by having a novel approach of location-based marketing. Benefit from the application of multi-GNSS seems to be unfathomable. Imagination can push us further in the land of innovation where we might never thought something would exist. 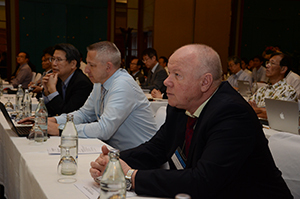 The exchange of thought and knowledge in indispensable to the advance of the multi-GNSS community and this annual workshop serve as a roundtable for all the world-class GNSS knight to socialize. 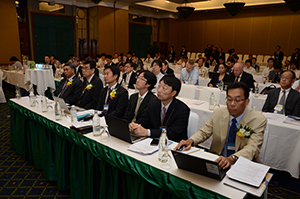 Prior to the opening ceremony of the workshop, during yesterday afternoon, there was a tutorial session on GNSS positioning technology. A wide range of topics was covering, from GNSS applications, software library, to information cooperation with a poster sesion aferwards. The tutorial has proven to be net only informative but also challenged, excited and inspired. This could signify the intensity of knowledge sharing and debate for the incoming sessions for this workshop today and tomorrow. I'm optimistic that all participants will acquire new knowledge from the two-day workshop and I would encourage all participants to take active parts in the interesting discussion and to joinly develop proposals for new collaborative project. 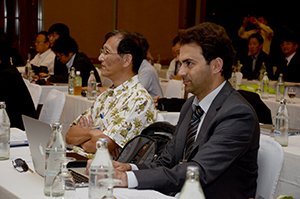 I am very much thankful to the Growing NAVIS Project, Japan Aerospace Exploration Agency, Satellite Positioning research Application Center, and QZS System Services Inc for their diligent work in preparing for this workshop. Also, I am very thankful for the United Nations International Committee on GNSS, the International Global Navigation Satellite Systems Service for their great support to make this event possible. 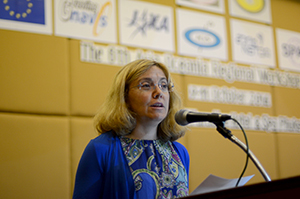 I want to say once more on behalf of Thailand's National Science and Technology Development Agency, welcome. 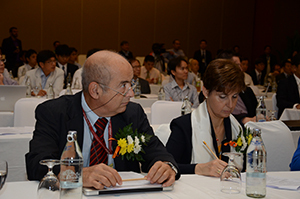 I wish all delegates and participants a fruitful workshop and a joyful stay in the marvellous island of Phuket. 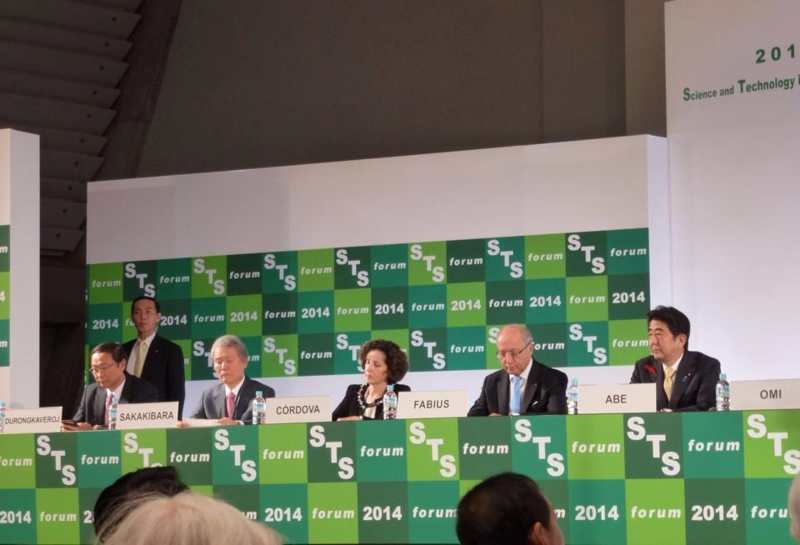 My sincere appreciation to Omi-san and the STS organizing committee for inviting me to speak at this important meeting. The fact that STS forum has been running strong into its 11th year or 2nd decade confirms my belief that science and technology has been one of the most important drivers of the advancement and progress of human society—shining light and casting shadow upon us. On April 29, 2014 NARIT arranged the “Thai National Astronomy Meeting: TNAM 2014” at the Faculty of Science, Chiang Mai University. 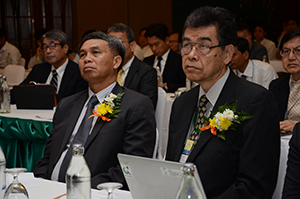 On this occasion, Prof. Boonrucksar Soonthornthum, Executive Director of NARIT delivered an opening remark of TNAM 2014. 25 Astronomical professors and lecturers from each university in Thailand namely Chiang Mai University, Kasetsart University, Khon Kaen University, Naresuan University, Srinakharinwirot University, Mae Fah Luang University, Suranaree University of Technology, Chiang Rai Rajabhat University, Lampang Rajabhat University, Nakhon Ratchasima Rajabhat University, Songkhla Rajabhat University, Udon Thani Rajabhat University, etc. attended the meeting. The goal of the meeting is to discuss and brainstorm the roadmap for astronomical research and development, including supporting graduates and researchers in astronomy and astrophysics in the next decades. 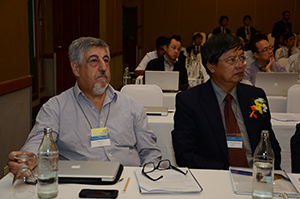 At the end of the meeting, the representatives of each groups delivered short presentations about their discussion results, which would be applied to plan the roadmap in order to develop astronomical research and development in Thailand in the near future. 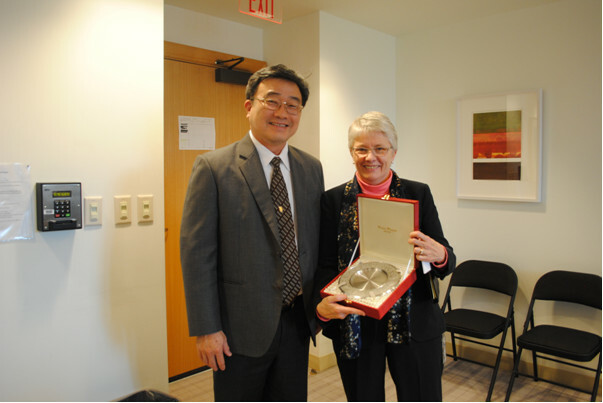 Besides, Dr. Weerapong Pairsuwan paid a courtesy call on Dr. Kerry Ann Jones, Assistant Secretary on 12 March 2014 at U.S. Department of State to exchange views on strengthening cooperation on the above 5 mentioned areas through research, exchange of researchers, and seminar. 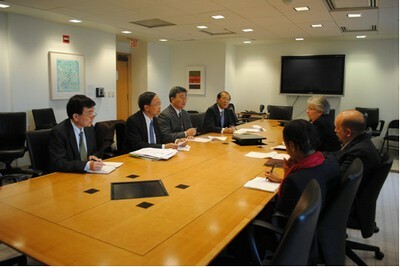 During this trip, Dr. Weerapong Pairsuwan and the Thai delegation also visit U.S. leading science agencies which are National Institute of Health, U.S. Department of Energy, National Institute of Standard and Technology, National Science Foundation, U.S. Environment Protection Agency, Office of Science and Technology Policy, National Academy of Science, and American Association for the Advancement of Science. Resources : Office of International Cooperation, Ministry of Science and Technology.